I began journaling just over twenty years ago. I’m wary of sharing my own practices because our must is to grow our own, though sometimes the stories of others help us to find a completely different trajectory. I still have the original book I’d taken to the United States and to a conference back in 1998. I see that I played around with some entries before the 15th May but on that day I began journaling every day. At the conference, I’d just been in a session with the pastor of a church of more than 20,000 people admitting he couldn’t pray for more than five minutes. He told of how he’d tried all kinds of way to help but none had worked until he’d tried writing his prayers out long-hand. Whether it’s prayer, reflection or meditation isn’t the point. The critical thing is hearing someone’s story and thinking, “I could do that,” and then begin to practice something different. Journaling is another practice that can become a life habit if you give it a chance. Avoid thinking, “I’ll see how it goes.” You’ll need to commit to it for a longer period and then, no matter what, keep to it. 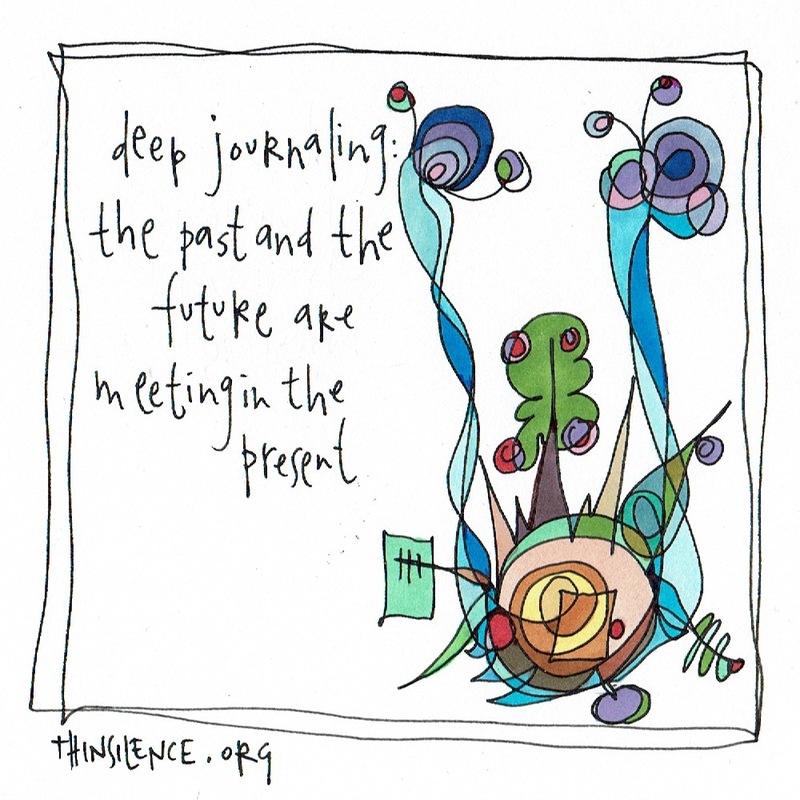 I found the truth of this again when I committed to blogging every day, an extension of my daily journaling. I wanted there to be a further degree of difficulty, something that was outside of my reach. Again, I saw the practice of another and thought, “I could do that.” In this case it was Hugh Macleod’s story of blogging and doodling. So I began doodling although I’d never doodled before. My original commitment was to blog every day of 2014, no matter wha – just putting some doodle out there no matter how and (and there are lots of bad ones). Something happened in those 365 days that have projected me into a different life. Doodling, creating a book, visual scribing, and book illustrating were never on my horizon in 2014. Things become possible because of turning up every day and journaling in a messy way. The thing is, we’ll only measure the easy to count things, and the really interesting things – because they don’t conform, – we’ll ignore. It’s why you can go on a nice tidy course or programme that lays out the abc or xyz of how to improve your life and it doesn’t do it for most people. But find your rhythms for being messy and something will happen. Be messy but be disciplined about it. Be messy for at least three months but a year is better. Start with the notebook and pen you have but allow the journaling to speak to you about how it wants to develop – there are some thing that have remained the same for me over the 20 years but many things have changed and developed as an expression of the personal flow of my journaling. We need this kind of aliveness to it.